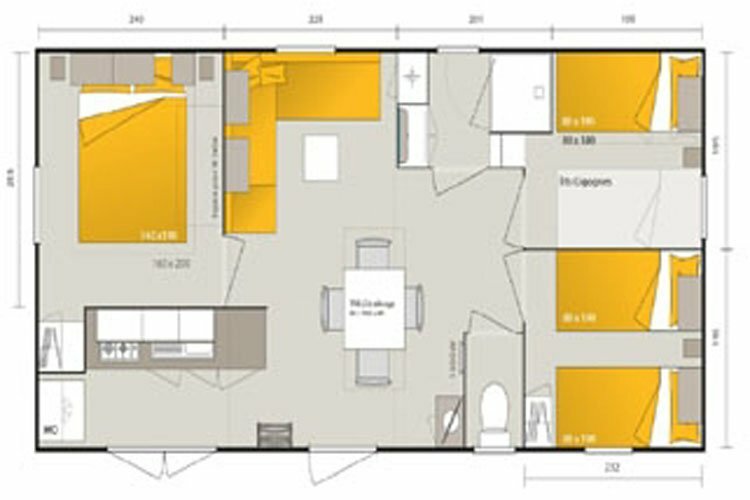 With its 9,00m x 4,20m dimensions, this spacious mobile home offers a large living and kitchen area. 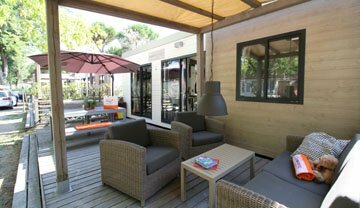 Large french windows open out onto the outside covered wooden terrace area. 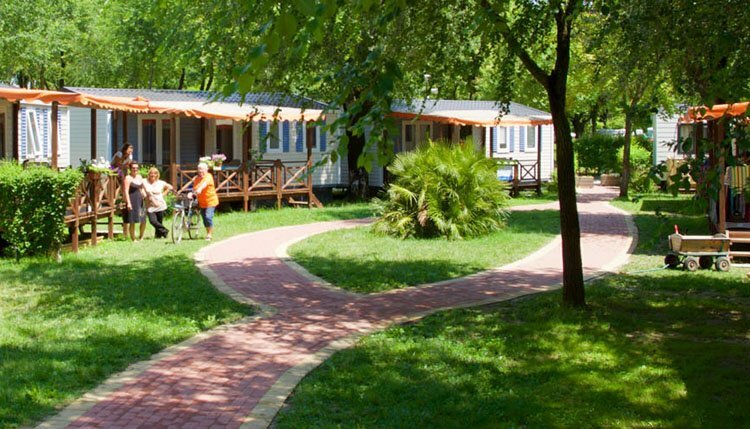 The Laguna Deluxe mobile homes are located in our charming "Gusto Village". 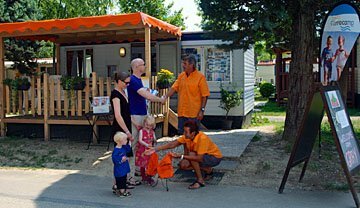 The well equipped kitchen area includes a fridge-freezer, gas hob, microwave and all you may need for an enjoyable holiday, not to mention the air conditioning. 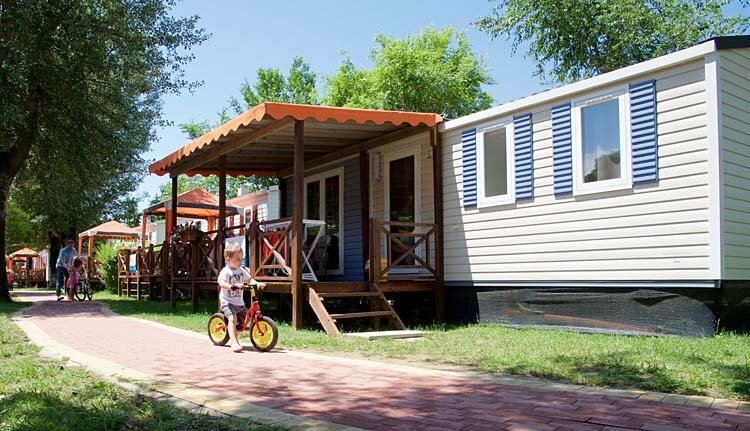 This mobile home offers a double bedroom and 2 twin bedrooms. 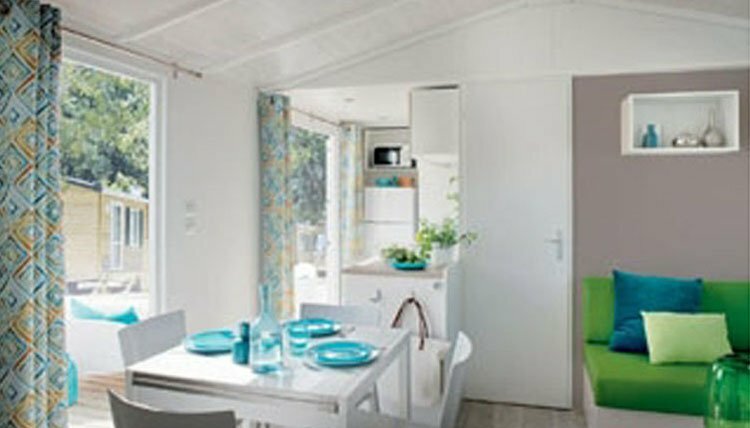 Within one of the twin bedrooms, there is the option of a pull-out bed; alternatively this space may serve for a children's cot. 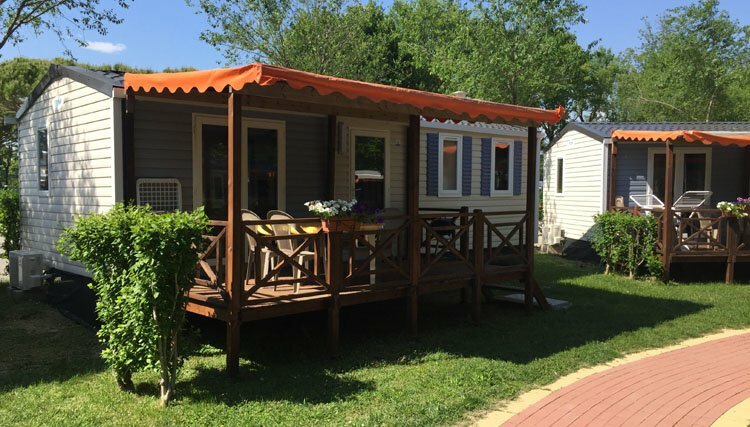 A 7th person's sleeping area can be found in the living room, making this mobile home a perfect solution for every family. 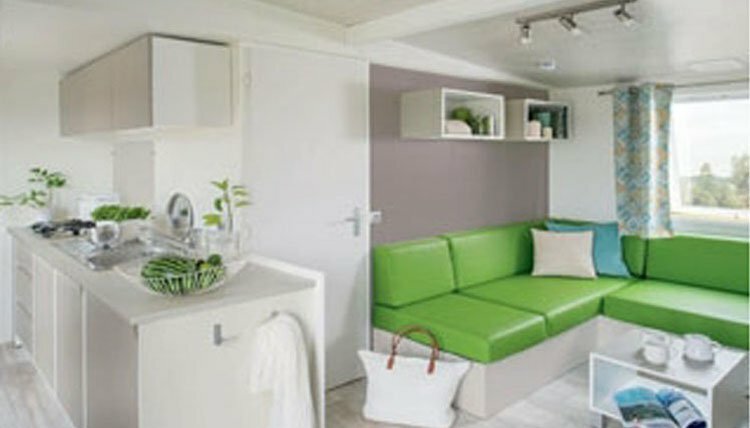 A spacious shower room offers a shower and sink and, a separate toilet and sink.